I first suggested moving to Fort Collins when we came down to get Chris’ company car. As we drove north on 25 I called Chris in his new car and planted the seed, “right here is only 30 minutes from Cheyenne.” He said, no way; we were not moving to Colorado. But the more we thought about our options and our long term goals, the more we realized that Fort Collins was where we needed to be, and so Chris selflessly agreed to make an hour long commute every day so that we could live here instead of Cheyenne. I can imagine some of you are wondering why we decided to move to Colorado. The first reason I suggested this city and this state is because of the schools. Colorado is a state which emphasises school choice and which is leading the way in the charter school movement. In addition to traditional public schools, this town also has tuition-free Waldorf, Montessori, language immersion, classical schools, and more. Wyoming may fund its schools well, but there aren’t really any options for parents who don’t like traditional or average teaching methods, and money doesn’t mean much if the teaching philosophy isn’t what you want. While researching schooling options, both at the preschool and elementary school level, I have been repeatedly amazed at how many different possibilities there are here. The second major reason why we moved to Colorado instead of Cheyenne is because of the size of the town/area. One of the things I have long wanted is to find a place where we can make a home and stay put. I moved and switched schools a lot as a child and never liked it; that is not something I want for Nora and Zara. Leaving Gillette and leaving Nantucket before that was hard on Nora. Now that she is about to start school, I want to put down roots and settle. Because this is a bigger area, the long-term job prospects are greater for Chris than they would be if we lived in Cheyenne, a town of less than 70,000. The problem with the last two places where we lived is that there are no opportunities beyond his current position, which pretty much dooms us to having to move when/if his position ends. We hope that by moving to a town of 150,000 we can reduce the chance of having to move again in a couple of years. 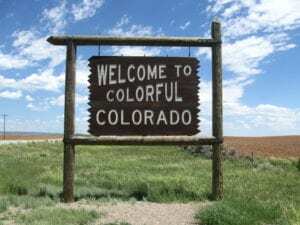 Those were the top two reasons that we decided to move to Colorado and Fort Collins specifically, but now that we have started to explore the community, I am finding more and more to love. The local food scene here rivals the one in the Hudson Valley: we can get everything from produce to milk, yogurt, cheese, eggs, and meat from within a 100 mile radius (maybe even 20 miles!). There are La Leche League meetings galore, home birth midwives, babywearing groups, and it seems an infinite number of activities and events every day of the week. There are more yoga studios than I can count on one hand, with classes available all day every day. And for the first time in a year, I am meeting people who share my values and understand my opinions. While I respect people of all persuasions, it is nice to not feel as if I am alone in my thinking. Perhaps many of these things would have occurred in Cheyenne as well simply because of its increased size and proximity to Northern Colorado, but after doing a little research I don’t think we would have had these benefits to the same degree as we do in Fort Collins. Everyday more and more reasons to feel at home here reveal themselves, and I am so grateful that (1) Chris was willing to do the commute and (2) that his job makes a commute of that distance possible (thanks to a company vehicle, short work days, and the ability for him to work from home in the case of bad weather). Amazingly, Colorado already feels like our home and it just might be the place where we were meant to be. I’m glad you found your happy place!!! Thanks for the insight! My family and I are also moving to Colorado in a few weeks. Colorado is definitely leading the way in its innovative educational programs. This is a huge plus for my children who will be attending their middle and public schools. Thankfully, my wife has a type A personality and is very organized so she was able to get all of the moving stuff situated. She got us a great moving company in Colorado to ease the transition of our long distance travel. They have been great to work with so far!